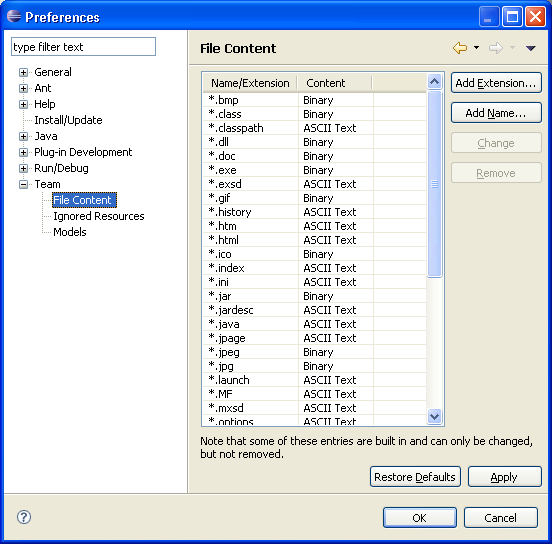 In order to allow other plug-ins to indicate special handling for their projects and files the team plug-in defines extension points that other providers and other plug-ins can use to register file types and to declare files that should be ignored by a repository provider. 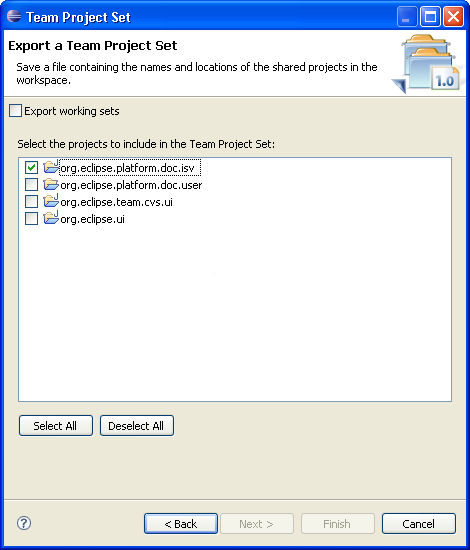 Team providers can also register a class that can be used to persist a set a projects so that references to the project can be shared across a team, with the actual contents coming from the repository. Repository providers should consider how they will handle linked resources. Finally, team providers can mark resources that should be hidden from the user as team private. Repository provider implementations can be upgraded to support linked resources by overriding the RepositoryProvider.canHandleLinkedResources() method to return true. Once this is done, linked resources will be allowed to exist in projects shared with that repository provider. However, the repository provider must take steps to ensure that linked resources are handled properly. As mentioned above, it is strongly suggested that repository providers ignore all linked resources. This means that linked resources (and their children) should be excluded from the actions supported by the repository provider. Furthermore, the repository provider should use the default move and delete behavior for linked resources if the repository provider implementation overrides the default IMoveDeleteHook. Team providers can use IResource.isLinked() to determine if a resource is a link. However, this method only returns true for the root of a link. The following code segment can be used to determine if a resource is the child of a link.